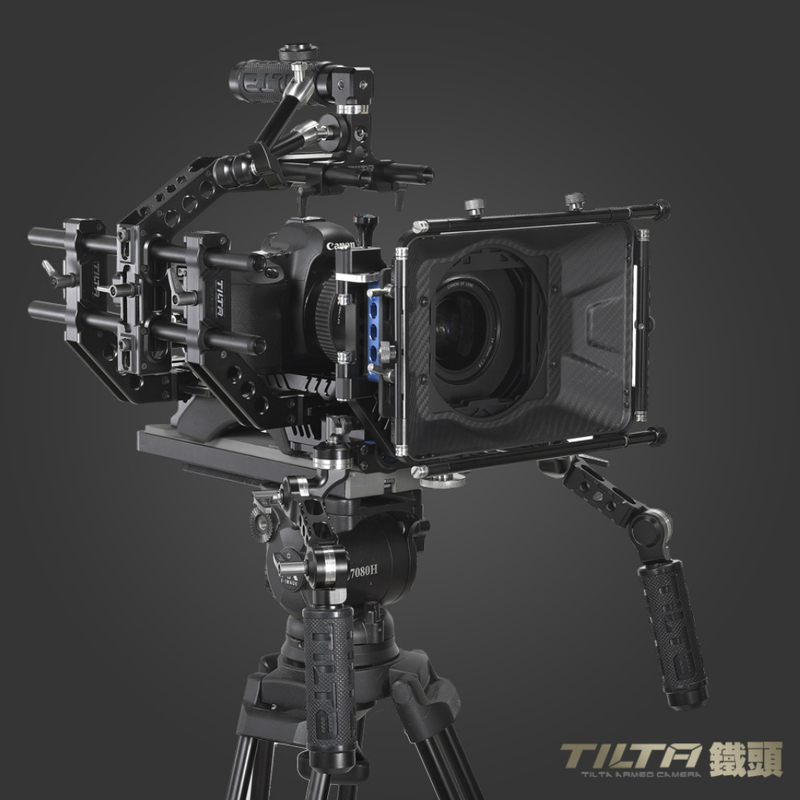 1.This rig set is assembled by three parts,the quick release A/B Stops follow focus and front mattebox and the 15mm rail rod plate, all of our DP500III series product are made of sturdy metal and process by CNC machining. 2.The follow focus of this rig set features quick release and A/B hard stops design, also the gear can be installed on both sides. With A/B hard stops, it\'s easy to make begin/end setups for fast repeatable shooting between two points. It also makes focusing lenses (such as Canon EF lenses) that have no hard stops much easier. The white mark ring is made of magnet material, very convenient to be detached or attached on the metal follow focus. You can also buy additional mark ring. 3.The front matte box can be open at the position 90 degree, so you can easily intsall or take off the lens or follow focus parts,or the camera, also the height of the mattebox is adjustable, give a high tolorance of the installnation, and there are 2 filter trays for 4x4" (100x100mm) filter,6 donuts for different lenses. 4.The 2-in-1 transformable 15mm rail rod rig can be quick changed between handheld top handle C cage bracket rig and front handle grip rig, the base of rail rod plate with the 3/8" and 1/4" screw holes, so you can install the rig on the tripod or slide track, also the quick release plate is height adjustable. 2:Compatible with industry standard follow focus whip or crank. 4:MOD drive gear: industry standard 0.8.can work with different size gear to meet you need with different lens.